Born: 2 January 1869, Medemblik, Noord Holland, Netherlands. Died: 14 June 1965, Pretoria, South Africa. 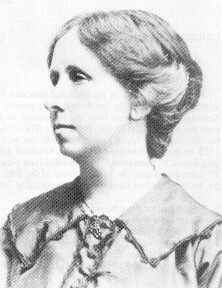 Miss Reino Leendertz completed her studies as a pharmacist in 1891 but then decided to continue her studies in botany. At Amsterdam she studied under the renowned botanist Professor Hugo de Vries, and then gained practical experience as one of his assistants. In July 1898 she arrived in Pretoria and on 1 September that year was appointed botanical assistant to the Staatsmuseum (later the Transvaal Museum, now the Ditsong National Museum of Natural History), under the directorship of Dr J.W.B. Gunning*. The museum's policy at the time was to appoint only men as scientists, but an exception was made in her case because of her outstanding qualifications. She was the first botanist appointed by the government of the South African Republic, and apparently the first woman in its civil service. The museum already had the nucleus of a herbarium, as a large collection of plants had been bought from Rudolf Schlechter* in 1897. Miss Leendertz set about enlarging it with characteristic energy and enthusiasm, with a view to building up a representative collection of the Transvaal flora. When Pretoria came under British control in June 1900 during the Anglo-Boer War (1899-1902) she decided to return to the Netherlands. In Amsterdam she taught natural history at a girls' high school for a year but did not find it to her liking. Upon re-applying for her old post in what was then the Transvaal Museum she was re-appointed and returned to start work on 1 January 1904. She undertook many collecting trips. Shorter trips to areas near Pretoria were done by bicycle, often on weekends, sometimes in the company of friends or colleagues, including the lepidopterist A.J.T. Janse*. On longer trips she travelled by train, sometimes in her holidays. She visited many places all over the Transvaal and eventually collected nearly 6000 specimens. Many specimens were also collected for the herbarium by other museum staff, or obtained through donations, purchases, and exchanges with other institutions. As a result the collection eventually expanded to over 23 000 specimens under her care. Some of her specimens went to the herbarium of the Royal Botanical Gardens at Kew, England, and were acknowledged in the prefaces to Volumes 4.1 (1909) and 5.1 (1912) of the Flora Capensis. In September 1907 a junior assistant, Miss M.C. Collins*, was appointed to help in the herbarium, freeing Reino from some of the routine work. Part of her time was spent preparing a botanical exhibition which filled 16 cases and illustrated Transvaal timber trees and the biology of plants. She was an excellent taxonomist who seldom made mistakes in her identifications, even though her work was hambered by a shortage of botanical literature. By 1906 she had become a member of the South African Association for the Advancement of Science and that year read a paper on the Amaryllidaceae of the Transvaal. It was published in 1908 in the Annals of the Transvaal Museum (Vol. 1, pp. 46-61) and enumerated 11 genera and 36 species. The next year she married Nicolaas W. Pott, a banker of Pretoria. They had no children and she continued her work much as before, collecting and publishing under the name Pott or Pott-Leendertz. In collaboration with J. Burtt Davy* she drew up a preliminary list of Transvaal vascular plants, which was presented at the annual meeting of the South African Association for the Advancement of Science in 1908. Only the introductory remarks were published in the association's Report, under Burtt Davy's name. The whole list was later published, with her as co-author, as "A first checklist of the flowering plants and ferns of the Transvaal and Swaziland" (Annals of the Transvaal Museum, 1912, Vol. 3, pp. 119-182). It was her most important contribution to botany. It contained 3240 species, and in 1920 Mrs Pott produced an addendum adding another 700 species (Vol. 6(4), pp. 119-135). Other papers by her were also published in the Annals, namely descriptions of a new Stapelia (1913), two new species of Alepidea (1914), and a new species of Warburgia (1918). In 1917 she also published "A contribution to the knowledge of the Transvaal Passifloraceae" (Vol. 5(4), pp. 234-237). Reino Potts was a strong-minded and independent person who did not feel comfortable with the constraints placed upon her by the civil service and was frequently chafed by authority. She retired in January 1925. She was an early member of the Transvaal Biological Society, founded in 1907, and remained a member when it developed into the South African Biological Society in 1916. In April 1908 she read two short papers before the society, "On Myrica aethioica, the Wax-berry" and "On Sarcocaulon, the Candle-bush". Several species were named in her honour, among them Stapelia leendertziae and Indigofera leendertziae by N.E. Brown*, and Lotononis pottiae by Burt Davey. Annals of the Transvaal Museum, 1908-1920, Vol. 1-6. Dippenaar, N.J. (ed.) Staatsmuseum 100. Pretoria, 1992. [Haagner, A.K. et al] The Transvaal Biological Society. South African Journal of Natural History, 1918, Vol. 1(1), pp. 24-32. National Automated Archival Information Retrieval System (NAAIRS). . Documents relating to Pott, Reino/Miss Leendertz. Obermeyer, A.A. Mrs Reino Pott-Leendertz (1869-1965) and the Transvaal Museum Herbarium. Bothalia, 1966, Vol. 9(1), pp. 1-3. South African Association for the Advancement of Science. Report, 1905/6, 1908, 1910. South African Journal of Natural History, 1919, Vol. 1(2), pp. 274-277: List of members of the SA Biological Society. Thiselton-Dyer, W.T. (ed.) Flora Capensis, preface to Vol. 4.1 (1909) and 5.1 (1912). London: L. Reeve. Transvaal [Colony], Colonial Secratary's Department. Annual report for 1903/4, pp. H.1-2, Museum and Zoological Gardens. Transvaal Museum. Annual report, 1905/6, 1906/7, 1907/8. (National Archives, Pretoria, Vol. TKP196, 197, 277).